Since the day I surrendered to military custody after refusing to return to Iraq, Courage to Resist has been there for me and my family as a constant fountain of support. This support has come in many forms, from a friendly call, to organizing a campaign to cover my legal expenses and basic needs. I believe only an organization with altruistic motives that truly cares would have done this. As someone who has felt the enormous relief of having a strong support group behind me, it is a privilege now as a member of Courage to Resist to help others as I have been helped. 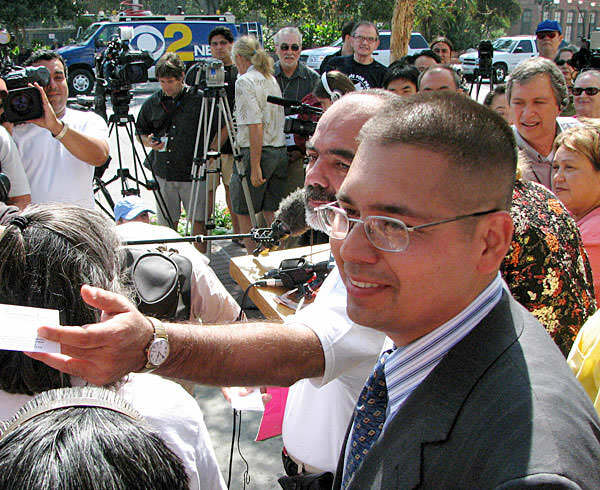 PreviousSupport Iraq War resister Lt. Ehren Watada!